Let’s be honest, no one wants to serve dry barbecue. And no one wants to eat it. So it makes sense that since the caveman days we’ve been slathering sticky mop sauces and spritzing our barbecue with liquid. It seems like basic math. Add liquid = less dry meat. But like everything in barbecue, it’s not that simple. Mopping and spritzing can be an effective tactic when used correctly. But it can also wash off the flavorful bark you’ve spent hours trying to build. In this article you’ll learn why and how to mop or spritz. How are Mopping and Spritzing Used in BBQ? What Happens When You Mop or Spritz? Mopping and spritzing are both techniques for applying moisture to meat as it cooks. The main difference between these two techniques is to do with how the moisture is applied. As the name suggests, mopping involves adding the moisture with a brush or “mop”. You’ll also hear people refer to the sauce being applied as the “mop. Spritzing involves spraying the moisture onto the surface of the meat with a spray bottle. As well as keeping everything moist, you can add particular ingredients to your mopping sauce to add layers of flavor to the meat you are cooking. Mopping and spritzing your meat will result in a slightly darker, softer crust or bark. The crust will also attract more smoke, resulting in a smokier flavor. Your meat will also appear a little plumper and juicier from the outside. 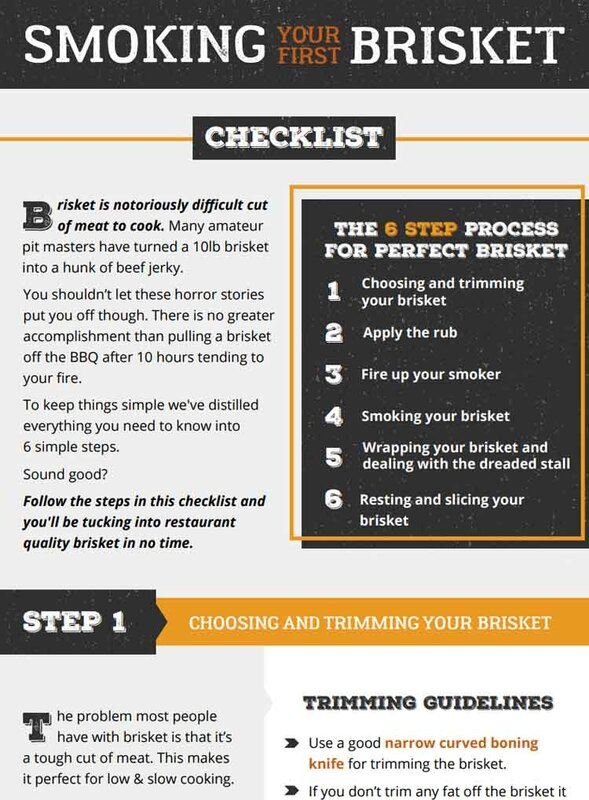 However, even though it may seem that you have nothing to lose and everything to gain by mopping your meat, not all pitmasters are a fan of this technique. More about this controversy later. People have been mopping and spritzing their meat for a long time, and the technique is mentioned in the history books of many cultures. Interestingly, the term ‘mopping’ even has historical origins. 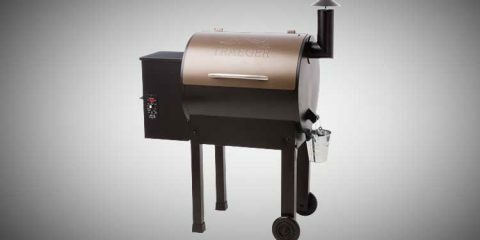 The term first appeared when US President Johnson’s favored pitmaster, Walter Jetton, cooked up meat for the masses on an enormous, 40 square foot open air grill. To stop the meat drying out, he literally used a mop to moisten the meat. It’s common to use a literal mop when cooking whole hog barbecue. Mopping and spritzing can be used for both low and slow and grilling. 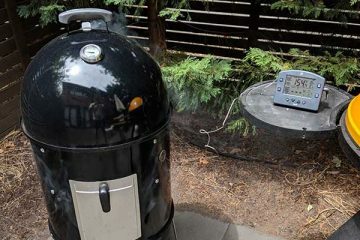 Interestingly, despite historically having been a technique used for grilling, in recent times they have become more closely associated with cooking low and slow. Like almost everything when it comes to barbecue, there is disagreement about when you should mop or spritz, and how effective it really is. 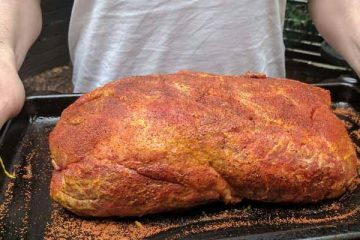 While many pitmasters don’t question the importance of mopping and spritzing, there is a vocal minority of the smoking community who believe there is no need to mop or spritz at all. More than that, they question if the technique may actually jeopardize the flavor of the finished product. They argue that a watery mop could wash off any rub or spices that have been added to the meat, and damage the valuable bark. Over longer cooks, regularly opening the lid to apply the sauce (which is usually cold) will also lengthen the cooking time, which some see as a disadvantage. Clearly, there is more than meets the eye when it comes to mopping and sprtizing. Let’s find out more about the technique, and then you can decide for yourself if you want to add it to your toolkit. There are really 6 different factors you need to consider. 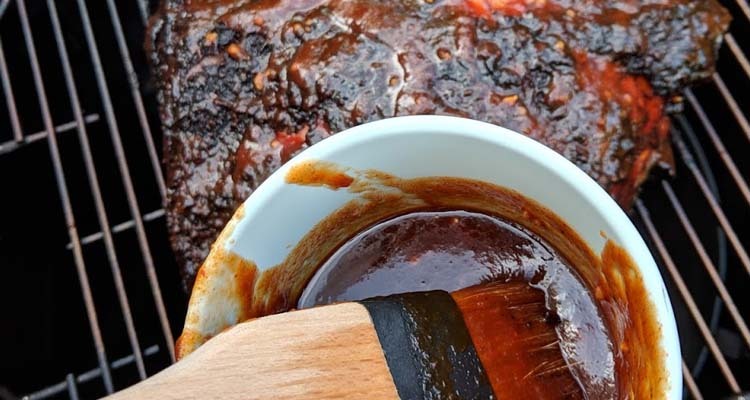 While the sauce that you mop or spritz with will have a flavor all of its own, it will not have as much flavor as the rubs you may have put on your meat. So if your watery mopping sauce washes off some of the rub you have applied, you will actually lose flavor. However, if you use a thicker, stickier sauce to mop with, you will not face this problem, and you will still add flavor to your meat. Clearly, the same does not apply when spritzing, as the liquid needs to be thin enough to be sprayed out of a spray bottle. It is no secret that mopping or spritzing your meat will increase the cooking time. The sauce itself is the main culprit for this increase. The added moisture, and the cool temperature of the sauce will cool the surface temperature of the meat. The impact will depend on how hot and fast you are cooking. If you are cooking at high temperatures over a short period of time, mopping or spritzing will not have a great effect on the cooking time at all. When you are cooking low and slow, you could notice an increase of 10-20% of cooking time. Over spritzing or mopping can result in a less crispy crust, as you will be replacing the moisture lost to evaporation. However, the addition of some oil and sugary liquids to your mop or spritz sauce or will aid in the browning of the meat’s surface. The browning occurs as the sugars in these ingredients caramelize during cooking. This will work particularly well when the temperature you are cooking at is quite high. It is worth noting that if you are cooking something that already has fatty skin, then the addition of a water based sauce will not improve the quality of the crust. It will make the skin limp and hinder the formation of that brown, crispy surface we are after. When cooking meats such as chicken or duck, it is often best to let it be, and let the natural properties of the skin work their magic. So, in most cases it comes down to personal preference as to how you like your crust. Crispy and crackly? Or, sticky and brown? We will leave the answer to that question up to you. Mopping and spritzing will aid in the formation of a smoke ring. Mopping and spritzing will help form a smoke ring because the moisture you are adding to the surface of the meat attracts smoke. This allows the sodium nitrite in the smoke to sink into the meat and react with the myoglobin. It is this reaction which leaves us with the highly prized pink ring just near the surface of the meat. When you mop and spritz, you will be replacing some of the moisture lost during the cooking process. 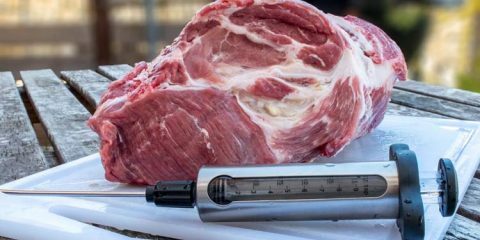 While it will not make a great difference to the size of the meat, your meat will look plumper and less dried out when it is done. If you are not careful with hygiene when mopping your meat, there is a slight risk you could contaminate it. For instance, if you have mopped the meat before it is fully cooked, you could have picked up microorganisms from the meat. If you use the same mop, you may be spreading the bugs. Similarly, if you use the liquid you marinated the meat in as a sauce, again, you will be spreading microbes onto the meat when you mop it. 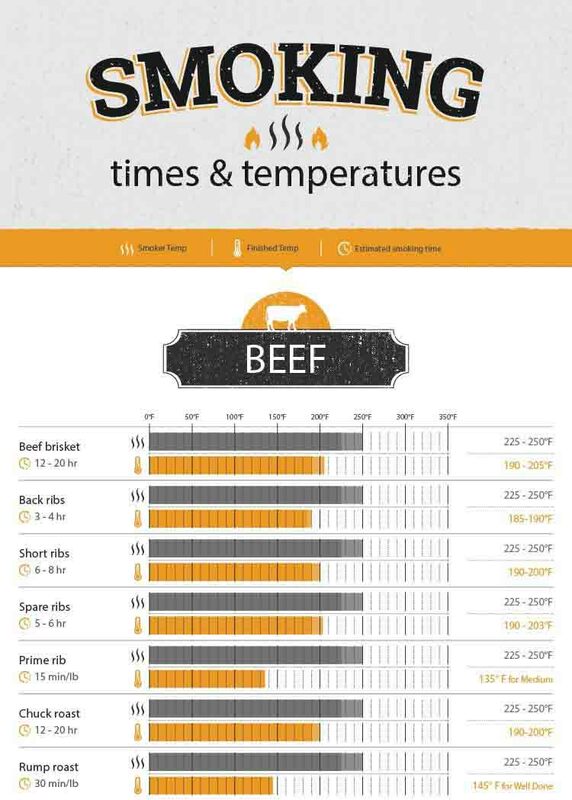 However, if the meat is being cooked above 155°F, most nasties will be killed off. So when mopping, take the time to think about where your mop has been, where the liquid you are using has come from, and what temperatures you will be exposing the mopping liquid to. This way you can avoid any sickness resulting from the bugs in raw meat. Now we know the technicalities of what goes on when we mop and spritz our meat. But in real terms, how does this affect the outcome? All Things Barbeque decided to cook ribs head to head. One with spritzing and the other without. If you are interested in how things panned out, you can see the video here. In the end, both cooking methods produced a tasty result. However there were some differences. And which method each individual prefers is a matter of personal taste. Texture – For one, the bark on the un-spritzed ribs was crispier and dryer. Whether you prefer the crust crispy or a little softer is up to you. The spritzed meat was also visibly plumper than the un-spritzed version. Flavor – The spritzed meat ended up with a more subtle in flavor than its un-spritzed counterpart. It appears that the zing of the spice rub was muted by the addition of the spritz. Again, whether you prefer your ribs zingy or more subtle is a matter of personal taste. Cooking Time – Probably the most notable difference between the two options was the cooking time. The meat that was spritzed throughout the cooking process ended up taking about an hour longer to cook that the ribs that were left dry. To help form a sticky dark bark, use ingredients in your mopping sauce that have a high sugar content. Apple juice, a spirit such a bourbon, along with some olive oil makes a simple mopping sauce that will leave you with a great bark. Wait until a crust has started to form before you start mopping. If you wait about 90 minutes before you start mopping or spritzing, you will tend to lose less of your rub than if you start mopping earlier into the cook. Immediately after you have flipped the meat, mop the side of the meat facing up while it is still sizzling and hot. This way the mopping sauce will have a chance to sit and soak into the meat. 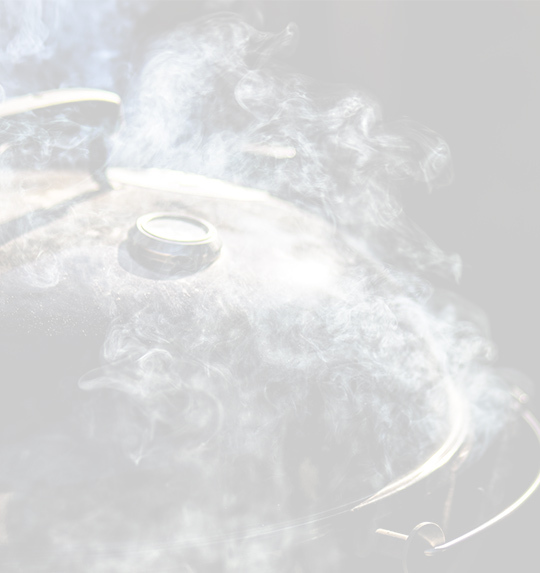 If you are cooking something that features a smoky flavor such as bacon, mopping will ensure that the maximum amount of smoky flavor is taken up by the meat. 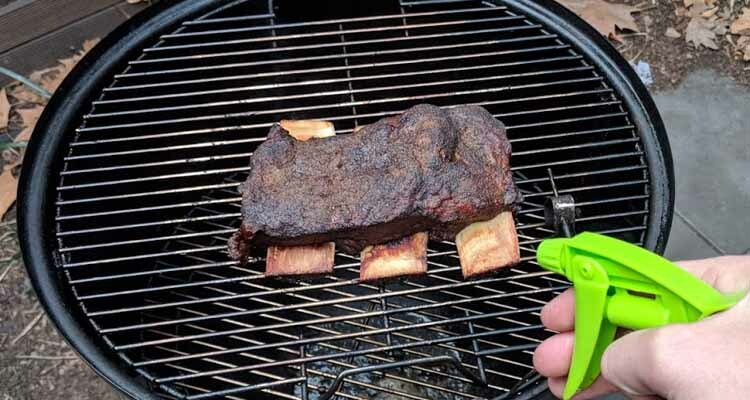 Once the surface of the meat has dried out, it will stop taking up smoke. Some pitmasters prefer to spritz as they feel this won’t disturb the surface of the meat as much as mopping would. Bear in mind, if you spritz then flip the meat immediately, you will lose some of the rub you have put on the surface of the meat. You may also consider warming up the brush and mopping sauce if you are worried about cooling the surface of the meat. If you are eager to give mopping a try, then it is best to start with a nice, simple sauce. This basic mop recipe by Steven Raichlan, from his book Barbecue! Bible is a great option. Once you have mastered this simple mop sauce you might be keen to start experimenting. If you are keen to try some more styles and flavors, have a look at our roundup of the best mopping sauces. We have the mop covered, so let’s move on to the spritz. 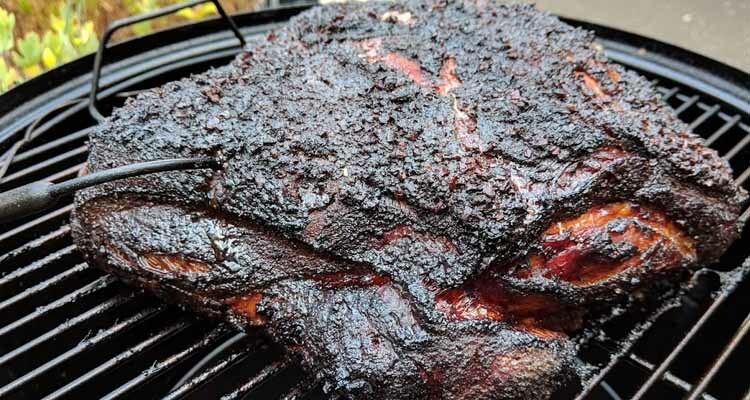 Smokin with Myron Mixon has a spritzing recipe which works well on pork. The sugar in the spritz will also give your pork a lovely color. The beauty of mopping or spritzing is that it is a fairly straightforward process, and it will not cost you the earth to get the equipment together to give it a try. Here are our suggestions to get you started. There are quite a few things you could use this handy spray bottle for, but we are really interested in is how useful this is for spritzing. This pressure sprayer holds one litre of liquid, which is a good amount to have at the ready when spritzing your barbecue meats. This spray bottle is pressurised, and the nozzle can be adjusted so you can spray at just about any angle you like. This is a really handy feature when you are trying to spray the meat quickly without leaving the lid off for too long. Just bear in mind that this is a plastic bottle. So if you are tempted to use it for something else which involves chemicals, you would be wise not to use it again for spritzing your meat. This mop has a cotton fibre head and a real wooden handle. The beauty of a mop made of natural materials is that there is no chance of your mop head melting. This mop comes in a pack of two, so you can always have one cleaned up and ready to go. 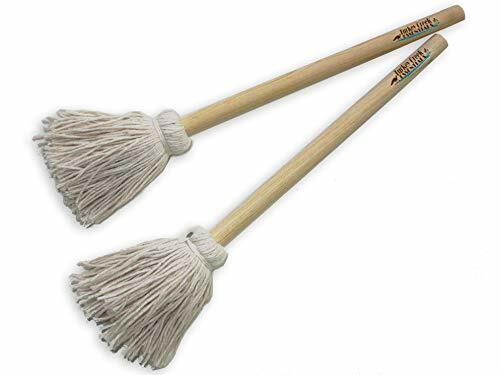 In fact, these mops also make great dishwashing mops, so you might even keep one for washing inside jars and glasses. Mops with a cotton head really soak up the mopping sauce. Many pitmasters find that brushes with silicone heads don’t really deliver much sauce to the meat. Mopping and sauces can be quite thin, so a mop with an absorbent head makes life a lot easier. 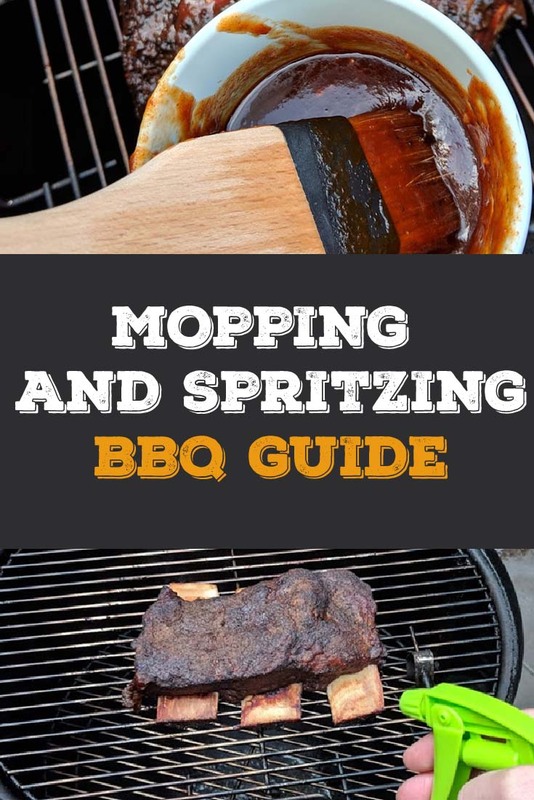 If you have been into barbecuing for a while you have no doubt heard alot about mopping and spritzing. Likewise, if you are new to grilling or cooking low and slow, you might be wondering why so much is said about mopping and spritzing. The bottom line is this: Mopping and spritzing is not a barbecuing requirement as some make it out to be. 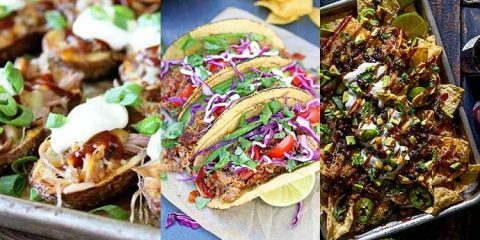 But there is a whole world of flavors and textures to experiment with if you do decide to give mopping and spritzing a try. Do you mop and spritz? Or perhaps you don’t see the need and like your barbecues crispy and spicy? Let us know your thoughts in the comments section below. And if you found this article helpful, be sure to share. I cook at a resort in Australia where we provide a smoked BBQ dinner for American tour groups – So no pressure there! I have cooked for them pork spare ribs, pork loin, shoulder of lamb, Chicken thighs, chicken Maryland and currently, whole beef rump. Our house speciality, that I serve all the time, is crocodile ribs. On the times when I use a glaze, I use a mop. But instead of mopping on a cold glaze, I keep my glaze warm so that it doesn’t cool the meat when it’s applied. This works especially well when the glaze contains honey. To prep a glaze, I warm the liquids, toast off the spices, add them to the liquids, then add the herbs and season to taste. Just keep the glaze warm, never boil it. Hey Gary, thanks for your comment. Love the tip on keeping the glaze warm. Cheers.